Nescafé Instant Coffee, a brand of beverage from the stable of Nestlé, which began as an idea solve the problem of what to do with unsold coffee in the late twenties is celebrating its diamond jubilee and its position as one of the world’s favourite drinks. According to studies, more than 5,500 cups of Nescafé instant coffee are consumed every second with different varieties serving different tastes and preferences across the world. “We are celebrating the rich history and heritage of Nescafé, the world’s first instant coffee, which has kept the distinct coffee aroma. 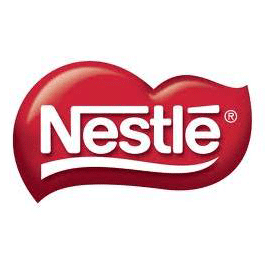 Over the past 75 years it has evolved from a tin of coffee to a full portfolio of products and systems,” said Carsten Fredholm, Head of Nestlé’s Beverage Strategic Business Unit. “Nescafé is present in over 180 countries and we are also highlighting its promise for future growth as it continues to lead the coffee beverage category,” he added. Following the Wall Street Crash and the collapse of coffee prices, the bank had a lot of coffee sitting unsold in warehouses in Brazil. In 1929, Louis Dapples, the Nestlé Chairman then, was given the task of turning the stocks into a ‘soluble coffee cube’ to be sold to consumers by his former employer, the Banque Française et Italienne pour l’Amérique du Sud. After three years of research, the company in collaboration with one of its new employees then, a chemist Dr. Max Morgenthaler discovered that café au lait – coffee mixed with milk and sugar – converted into powder kept its flavour for longer. But this powder was not easily soluble, and the milk and sugar caused production challenges. However Dr. Morgenthaler found that coffee taste and aroma were better preserved in sweetened milk coffee rather than unsweetened. He also found that the coffee kept longer after being exposed to high temperature and pressure. Dr Morgenthaler concluded that the secret of preserving the coffee aroma lay in creating a soluble coffee with enough carbohydrates. This was new and went against original thinking. Two years later, on April 1, 1938, the soluble coffee product, named Nescafé, was launched in Switzerland. Nestlé set up a large-scale production line of coffee extraction and ‘spray drying’ coffee beans to produce Nescafé at its factory in the Swiss town of Orbe. The brand was rolled out in the United Kingdom two months later and the United States in 1939. By April 1940 Nescafé was available in 30 countries worldwide. However, the Nescafé factory in St Menet, France, produced a new innovation – a product that didn’t need added carbohydrates in 1952. During the 1960s the product was re-launched in glass containers in Europe and Japan to help preserve freshness. In 1965 the brand unveiled another innovation – freeze-dried soluble coffee Nescafé Gold Blend. Over the decades Nescafé expanded its soluble coffee recipe creating other varieties – Nescafé Decaffeinated, Nescafé Gold Espresso, Nescafé Frappé, Nescafé Cappuccino and Nescafé Ready-to-Drink. Nestlé has also made significant progress to address responsible farming, sourcing, manufacturing and consumption across its coffee supply chain therefore, unveiled the Nescafé Plan in Mexico City, in 2010; which is part of a CHF 500 million investment in coffee projects by 2020.